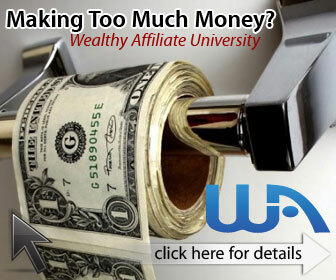 I have just added a new membership level to http://elitedownlinebuilder.com which gives you access to 75% commissions on every purchase your referrals make with us. EliteDownlineBuilder.com will help you build your SFI downline, plus four other downlines in good quality programs all of which accept Paypal – and are accepted by Paypal – as a payment processor. Now, until today there were three levels above “Free” in Elite Downline Builder, Silver, Gold and Platinum. Platinum was the top level, and with Platinum you get 50% commissions, but I’ve just added a new JV-Diamond level to this program. 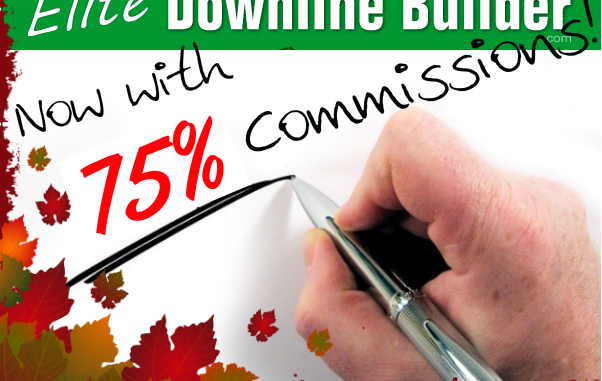 And that will give you 75% commissions on every single product that people may buy – that your referrals may buy – in EliteDownlineBuilder.com. The highest level at the moment is at $75. If you’re a JV-Diamond, and somebody upgrades to JV-Diamond, who is your referral, you will get 75% of that, or $56.25. So with this new high-level membership in place you really have a system here which you can use to promote SFI and four other high-quality programs, AND earn a substantial amount of cash even before anybody joins those programs. So, check it out. If you’re not yet a member of EliteDownlineBuilder.com you can start free. Free members will earn 10% commissions. But what you want to look at is the Platinum – 50% commissions – and then the JV-Diamond lifetime upgrades. Okay, that’s all about that, Elite Downline Builder. Now let’s hop over to SFI and check out the situation here. Last week we had a rollover in the weekly prize draw and so that $25 has rolled over to today. And today we have a $50 Gift Certificate Prize Draw. And I’ve put in the three metrics. The number of VP you need to have accumulated by now is over 200. You should have set your goals for the month. And your last log in should have been after the 20th of this month. So Friday, Saturday – today’s Sunday already here in Japan – I guess people may be waking up early in America. If you are, happy Sunday! So, without further ado, let’s call up the RollMe Die App and click this d50 and see if we have a winner today… OR, there is a small chance, a 6% chance, of a rollover once again. If it rolls over it will be a $75 prize draw next week. Number 21. Number 21 is Blessing Abdullahi. Blessing, you are the winner of a $50 Gift Certificate. But there is one more step I need you to take before I send you the gift certificate, Blessing, and that is to hop over to my blog, Top https://top5programs.com and post a comment there. OK. Thank you for participating and being an active member of my downline. That’s all from me for now, etc. Not yet a member of Elite Downline Builder? Join free, check the OTO and claim your sign up bonus ads and credits with the promo code TOP5.